Tomorrow, Sept. 30, is the release date for my new young-adult historical romance, Playing by Heart (Vinspire Publishing)! We're celebrating here by giving away an autographed copy to one lucky reader! (You'll find the giveaway details at the end of this post.) This post is also the first in a three-part series related to the novel. 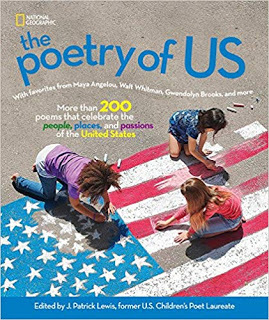 And since today is Poetry Friday, I'm including below a poem with a connection to the book, too. If you've been following our blog for some time, you may recall my post over two years ago about a novel I'd put in the proverbial "drawer" because I'd been told it wasn't marketable enough. Well, that novel was Playing by Heart. Fortunately, as I announced in January, I found a small publisher who liked the novel enough to take a chance on it. 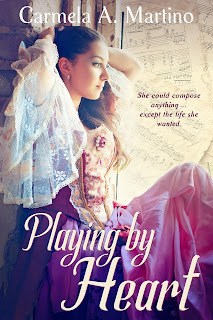 On Monday, I'll introduce you to Dawn Carrington, the editor who acquired Playing by Heart. She'll share a bit of Vinspire Publishing's history, as well as advice for aspiring authors on how to get published. Emilia Salvini dreams of marrying a man who loves music as she does. But in 18th-century Milan, being the 'second sister' means she'll likely be sent to a convent instead. Emilia's only hope is to prove her musical talents crucial to her father's quest for nobility. First, though, she must win over her music tutor, who disdains her simply for being a girl. Too late, Emilia realizes that her success could threaten not only her dreams for her future but her sister's very life. At its core, Playing by Heart is the story of two sisters struggling to follow their true callings at a time when women had little autonomy. And even though the novel is set over 200 years ago, the Salvini sisters face issues modern readers can relate to, such as coping with the pressure of parental expectations, living in the shadow of an older sibling, and finding true love. Any of you who have your own novels or picture books sitting in a drawer can imagine how thrilled I am to see Playing by Heart finally published. 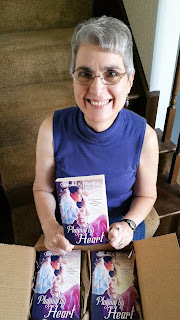 (I was so excited when my copies arrived that I had my husband take a picture!) Someone recently asked me how long it took to write the novel. That's hard to answer because I didn't work on it consistently. I started the project in 2008 but I kept getting bogged down by research. Then, in January 2009, I banned together with a group of fellow SCBWI members to create our own version of NaNoWriMo, what we called our New Year/New Novel project, or NYNN, which rhymes with "win." (I blogged about that experience here.) Thanks to the support of the NYNNies, I managed to complete (a pretty horrible) first draft. But I don't think I had a polished manuscript until September 2011. That's when I started submitting it. As the rejections came in, I kept revising and submitting, sending the novel to editors and agents, and entering it writing contests (which I've also blogged about). But I eventually gave up and put Playing by Heart in a drawer sometime in 2014.
and is vibrant in setting and detail." I've got lots of other lovely review excerpts on my website, if you're interested. Now, it's time for the book-related poem I promised. I've blogged here before about how Playing by Heart grew out of my research for a nonfiction biography of linguist and mathematician Maria Gaetana Agnesi. At one point I considered telling Agnesi's story as a series of poems. Today, I'll share one of those poems, written in the form of a tetractys. A tetractys is a five-line poem in which the syllables per line form the series 1, 2, 3, 4, 10. 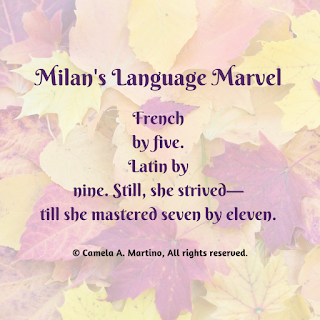 Agnesi was known for being fluent in seven languages, some said by age eleven. I haven't been able to verify that, but I wrote the following tribute anyway. On Tuesday, October 17, the birthday of the amazing female composer who inspired the novel, I'll be hosting a Facebook Launch Party from 7-9 p.m. Central Time. I'll be giving away books and other prizes every 15 minutes, so you needn't attend the entire time to win something. Plus, since it's a virtual party, you can participate from wherever you have Internet access! On Saturday, October 28, at 2 p.m. I'll be signing at Anderson's Bookshop in Naperville. I hope those of you in the Chicago area will stop by. But if you can't, do check out the other local "Upcoming Events" listed on my website. To enter our drawing for a chance to win an autographed copy of Playing by Heart (Vinspire Publishing), use the Rafflecopter widget below. If the widget doesn't appear for some reason, click on the link you'll see in its place. If you received this post via email, you can click on the Rafflecopter link at the end of the message to access the entry form. You may enter via 1, 2, or all 3 options. Please note: our options are slightly different this time. To enter via option 1, you need to use the link provided to subscribe to my creativity newsletter, which I typically send out once a month. The newsletter contains info about my publishing news, class offerings, and creativity tips/inspiration. After subscribing, be sure to watch for an email to confirm your subscription. If you already subscribe to my creativity newsletter, simply enter your subscription email address. You can see a sample of a recent newsletter here. If you choose option 3, you MUST leave a comment on TODAY'S blog post below or on our TeachingAuthors Facebook page. If you haven't already "liked" our Facebook page, please do so today! In your comment, tell us why you'd like to win Playing by Heart--is there a particular aspect of the story that interests you? Note: if you submit your comments via email or Facebook, YOU MUST STILL ENTER THE DRAWING VIA THE WIDGET BELOW. The giveaway runs through Oct. 16 and is open to U.S. residents only. P.S. If you've never entered a Rafflecopter giveaway, here's info on how to enter a Rafflecopter giveaway and the difference between signing in with Facebook vs. with an email address. Don't forget Poetry Friday. This week's roundup is hosted by former TeachingAuthor Laura Purdie Salas at Writing the World for Kids. Remember, always Write with Joy! Congratulations, Carmela, and Happy Book Birthday tomorrow! Your story is inspiring and from what you have shared about your story of these sisters, persistence is the important trait you possess as they did, too. The story sounds like one I'd love to have for my granddaughters when they get a bit older. They need to know how important it is to keep following their dreams. Thanks, best wishes and have a great time at those bookstore visits! Thanks, Linda. The book is recommended for ages 12 and up. I'd be honored if you'd share it with your granddaughters when they're ready. 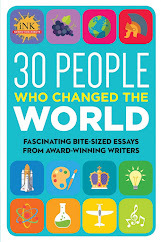 Meanwhile, you're welcome to enter the giveaway for a chance to win a copy--I don't see ann entries submitted yet. Oops, never mind, Linda. I see the entries now. Thanks for participating. And good luck! Happy book birthday! Playing by Heart sounds like a book I would love (and would have loved to share when I was still teaching middle school). The story of your journey to publication is inspiring, too. Congratulations!! Thank goodness for small publishers - my own picture book was acquired by a small independent publisher, who was willing to take a chance on an unpublished writer. Unfortunately all too often the big houses are focused heavily on sales and profits, while the independent ones are willing to take risks on books they believe in - like yours! Kudos to you for never giving up on your dream! Thanks, Jane. I'm glad you've benefited from being with a small press, too. Many, many congratulations! I'm so happy that Playing By Heart is out of that drawer and into our world. Historical fiction is what hooked me as a reader when I was a kid. I simply refuse to believe the genre is not worth writing due to sales. I love the story of how this book came into being. I think this is now a must-have on my wish list! Of course you had to take a picture of when your book arrived! This is too exciting of a time not to record it and celebrate. Your book will be so much fun for me to read--I love reading about women who are ahead of their time and are repressed from being what they want to be/living how they want to live by society. I'm a musician and I also love math as an engineer, so these characters have already won my heart. Congratulations! Marti, congratulations! I am so happy that you persisted and that your novel is coming to life. Thanks for sharing your inspiring journey. I'm off to share your giveaway news. So happy for you! Congratulations on your new book! 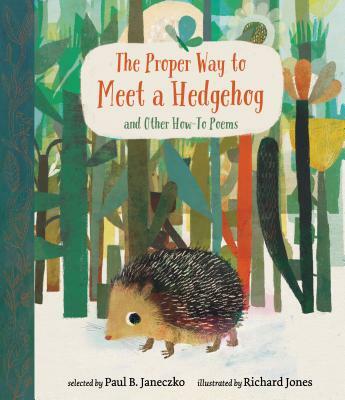 I would love to win this book for my daughter -she would really enjoy reading this! I'm currently pursuing a degree in music composition, so this sounds like a very interesting book. Especially because the author is Catholic! Looks like such an amazing book! I want to read this book so much! Congratulations! I can't wait to read this book. I'm a huge fan of historical fiction and can only imagine the research necessary to write this book. I am also given hope as I just sent off my middle grade novel to a small publisher. Your resilience in seeing your book through to publication is admirable. 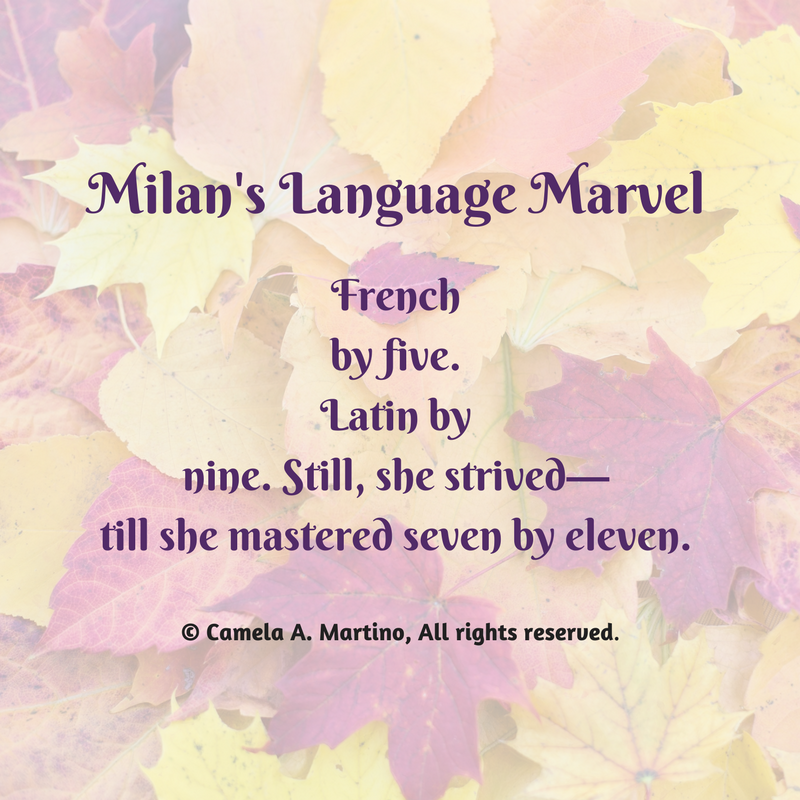 What they all said, dear Carmela ~ especially the inspiration you offer all of us...and how you took it out and tried again. Love-love-love the cover and can't wait to read it--and all of your blog posts about it's birthing! Thanks, Kay. I'm glad you found my story inspiring. Linda, so great to meet a fellow historical fiction fan. Heather, good luck to you and to all who enter. Oh, Cocoa, I'll be curious to know what you think of my character Emilia's compositions. Thanks, Samantha. I'm happy to know the story intrigues you. Yes, Margaret, I felt buried in research at times. 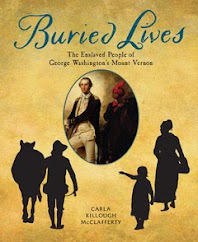 But it paid off, as both Booklist and Kirkus commented about descriptions/setting details. Thanks, April. Hugs to you my friend. Such an inspiring post on so many levels! CONGRATULATIONS on the book birthday, and I'm happy this worthy story gets to make its way into the world. Thanks for sharing the backstory (& the lovely trailer link), and I bet it will find many fans. Congrats on the reviews, too. This books looks just perfect for my daughter who is an inspiring writer working on her 18th century as well novel. She loves that time frame! Can't wait to get her a copy if I don't win one for her. Hair Bows 4 Life, I love that your daughter is working on an 18th-century novel too! Thanks for stopping by. Buena fortuna e congratulazion, Marti! I'm so happy Emilia's story is FINALLY out in the world! Thanks for you inspirational post here. And congratulations on your new book. I just yesterday had a 6th grader come into my library asking for historical fiction recommendations. The readers are out there. And thanks for the comment, Joanna. I'm encouraged to know of the sixth-grader's interest! Congratulations on your book! I have loved historical fiction since I was six years old. I have been trying to get my nieces interested as well. So much of what is out there for teens focuses on gloom and doom, or features inappropriate behaviors. It is wonderful to see something inspiring and uplifting enter the market! Thanks, Carol. I love "meeting" fellow historical fiction fans! Hope your nieces eventually read and enjoy the book. My Storied Treasures’ Treasured Stories!